"The Soul Of Jimmie Rodgers" reveals how country music got the blues. To get a little advance acoustic ear candy follow the links below. I have a new CD, "The Soul Of Jimmy Rodgers", that is being released in conjunction with the play Jimmie Rodgers, "America's Blues Yodeler". The play runs from may 5-10, 2016. "The Soul Of Jimmie Rodgers" reveals how country music got the blues. To get a little advance acoustic ear candy go to the link below. A little about what in inspired the recording. As a small boy growing up in McComb, Mississippi I lived one block from the train tracks (THE OTHER SIDE OF THA TRACKS), and the high sound of the whistle, the low roar of the engine, and the jostling clanking movement of connecting boxcars were a symphony that excited, and inspired me. When I got big enough, I would hop the train, ride he rails, or some would say hobo from Burglund town to near downtown. When I was about twelve years old the railroad police caught me hoboing, and that was my first case of "Train Rollin' Blues". They took me to the jailhouse, and scared the mess out of me. My mother (Josie Jackson) came down to the station, and talked to the captain, and they let me off with a warning. That stopped my hoboing, but did not stop my love of trains, and the blues. My paternal grandfather (Benjamin Joseph) worked at the T and N Railroad Company, my maternal grandfather (Sammy Jackson) played guitar, harmonica, and sang the blues, and my maternal grandmother (Mary Jackson) loved country and gospel music. I heard Britt Gully doing a Jimmie Rodgers tribute, and it brought back so many of these memories. I went back, and listened to Jimmie Rodgers' originals, and they touched a deep place within my soul. I humbly share these feelings with you. The Soul Of Jimmie Rodgers. The "Ripple" effect has begun. Last month I had no idea that I would be on a recording, and video with Jimmy Buffet, David Crosby, and playing Jerry Garcia's guitar. 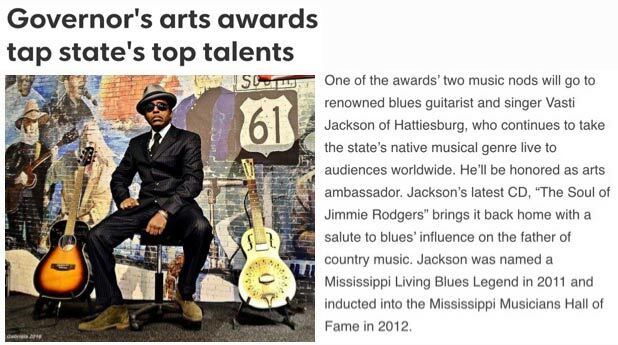 from the Jus' blues Music Foundation. 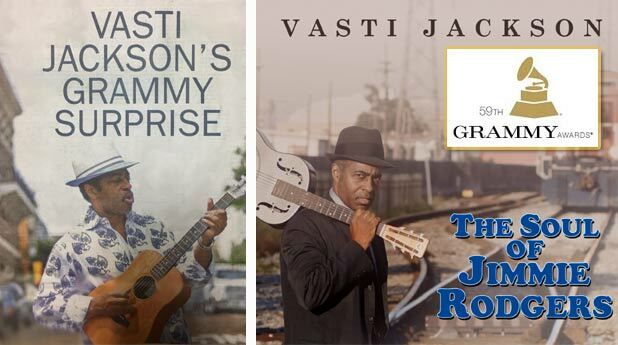 Mississippi living blues legend, Cultural ambassador Vasti Jackson is a soulful world renowned guitarist, and vocalist whose presence captures an audience the moment he takes the stage. 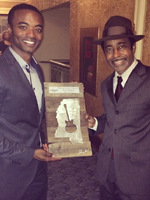 Last night I received a beautiful surprise phone call from the amazing Sharon McConnell Informing me of that the life-cast she did of me along with blues legends Bobby Bland, BB King, "Honeyboy" Edwards, Pinetop Perkins, Little Milton, Bobby Rush, Bo Diddley, and more will have residence at the Grammy Museum in Cleveland, Mississippi in 2015! 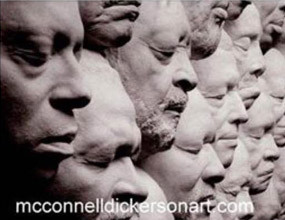 That's my life-cast image on the far left. Thanks Sharon, and thank ya, JESUS! 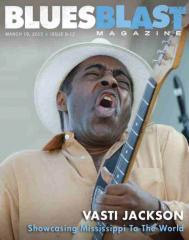 Mississippi-native Vasti Jackson is real blues renaissance man-skilled at nearly every facet of the music industry. Vasti is a guitarist (electric and acoustic), vocalist, songwriter, actor, educator, front-man, side-man, bandleader arranger, session musician, label owner, and producer. He can focus like a laser and knows how to get the job done no matter what you put in front of him. 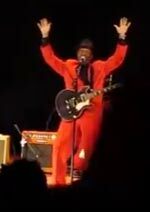 But the big name of the night was the American guitarist Vasti Jackson, who raised the festival audience to a frenzy with a presentation that included blues, soul, funk, and jazz. The guitarist honored Petropolis city with a portugues arrangement, played with the audience, danced and demonstrated that he is also a "showman" on the stage"
By Andreia Constancio for Regiao Serrano, Rio de Janeiro, Brasil. Vasti is not only uncommon guitarist with a transcendant talent. He is a true "entertainer" with the ability to hypnotize the audience with his 40 years' experience and his diaboical guitar. He is among the few bluesmen who have come to Caxias with the true sign of having made a deal with the devil, like a modern Robert Johnson. 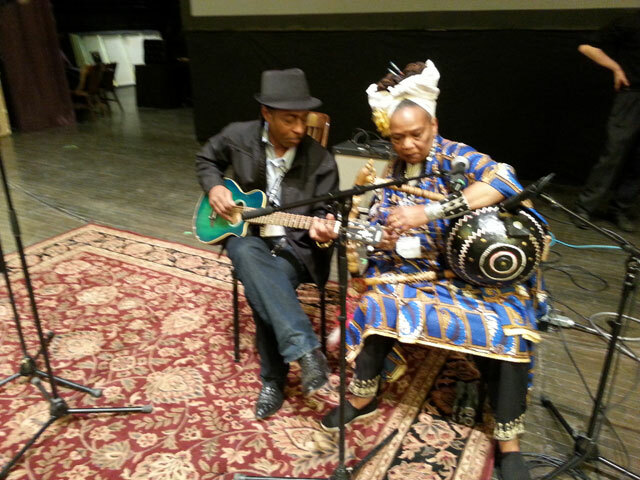 Vasti, today's attraction in the House of Culture, in one more Mississippi in concert, did not create any blues standard played to exhaustion. but, on the stage, he delivers an incendiary performance, much like Jimi Hendrix at Monterey - without burning his guitar. Leader of the best show in the history of the Miss. 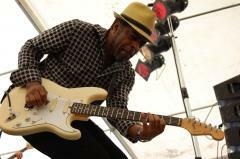 Delta blues Festival in Nov. 2011, the American guitarist is one of those who "plays" for the audience. He puts the guitar on his shoulders, and points there and here vigorously, using the blues as a base to enter into reggae, into gospel, into soul. This is, perhaps, his secret. His blues have soul, and because of this, they are genuine. I spent last week filming, composing, and recording music for the " Zydeco Crossroads" project. 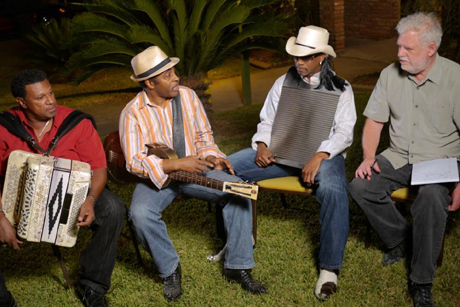 The film shows the influence of blues on traditional Cajun music that brought forth the Zydeco genre. My original composition " Zydeco Crossroads" is used for the theme song. 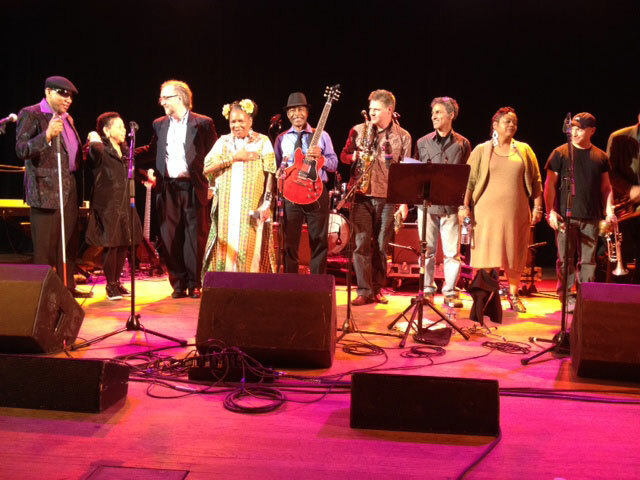 Playing For Change receives 2014 Game Changers Awards from Asia Society, and performs at United nations. 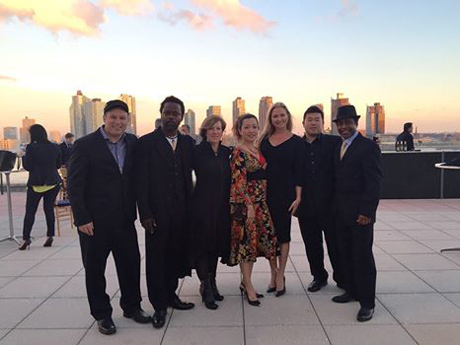 Founders Mark Johnson, and Whitney Kroenke at United Nations with Asia Society Director, global Performing Arts and Cultural Initiatives Rachel Cooper, Keiko Komaki, Nori Naraoka, Mermans Mosengo, and Vasti Jackson. I am honored, and excited to be invited to speak, and perform at TEDx November 6, Jackson, MS. I am humbled, proud, and overjoyed to now be an official Cultural Ambassador of Mississippi. 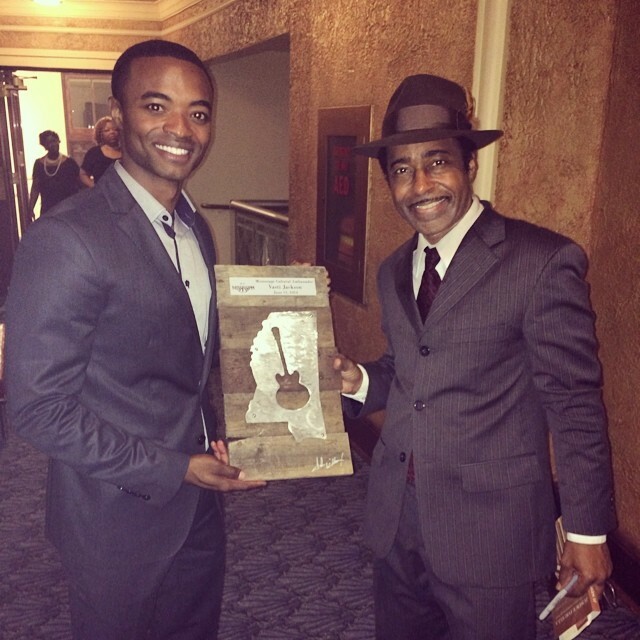 This honor was bestowed to me June 13, 2014 at the Saenger Theater during the Festival South presentation of Robert Jonson: The Man the Myth The Music. I will continue sharing the music, and culture of Mississippi with the world. Pictured with me is Alan Ballard Henderson, Program Director for Mississippi development Authority. Great news! 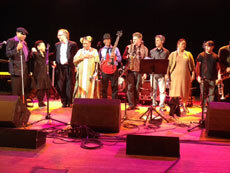 I have been invited to join the Playing For Change "Peace Through Music" tour. First stop is Kennedy Center in Washington, DC with John Legend. May 28, 2014. I was invited to perform, and speak at the 66th Annual conference On World Affairs. 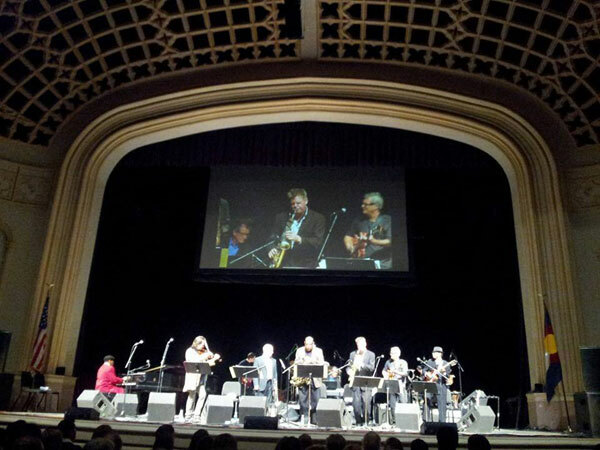 My original jazz compostion "Josiette" was selected to be performed with the CWA Allstar Jazz Orchestra Tuesday April 8, 2014. 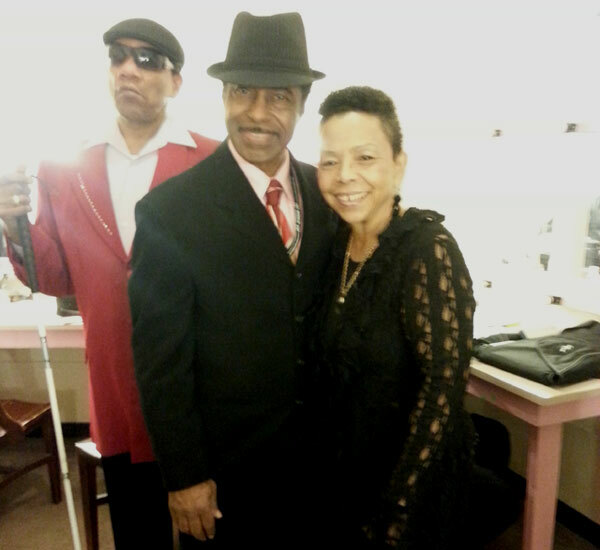 Left - Vasti, Henry Butler and Lillian Boutte. Vasti Jackson  cut him open, it read MUSIC. This interview proves the point that the greats do not get to where they are by talent alone. Success just doesn’t come to slackers. 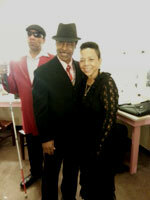 Vasti Jackson is a musician for all seasons, with so much passion, and for all the right reasons. 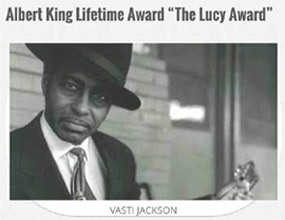 Vasti Jackson is a melting pot of ethnic genes and genres, on stage he fizzes like liver salts. 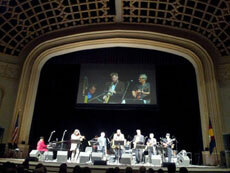 His story re-enforces the “Immersed to be well- versed” approach to a musical education. Pronounced Vast-eye, this guy is a misnomer being from Mississippi, his speed is much more Northern and plugged in. 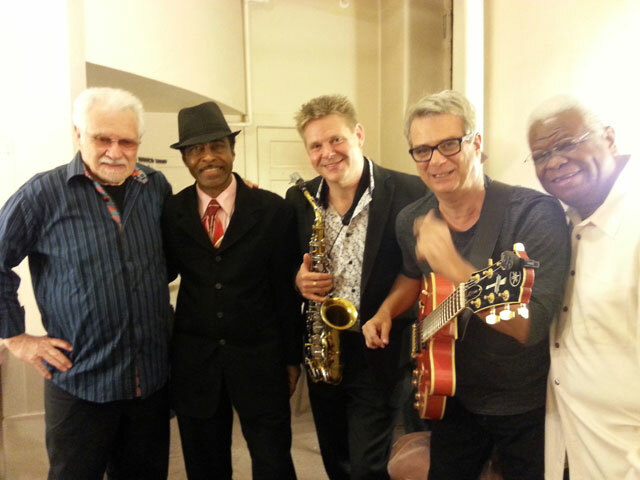 Blues Matters loves to listen, and Blues Matters loves to share….so enjoy." 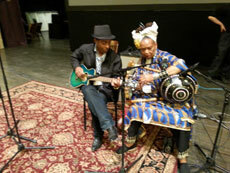 Vasti is not only an uncommon guitarist with a transcendant talent. He is a true "entertainer" with the ability to hypnotize the audience with his 30 years' experience and his diaboical guitar. He is among the few bluesmen who have come to Caxias with the true sign of having made a deal with the devil, like a modern Robert Johnson. This is, perhaps, his secret. His blues have soul, and because of this, they are genuine. by Tiago Garziera." The Mississippi Musicians Hall of Fame has produced over an hour of film and two booklets covering the state's music history from the Civil War to the present. 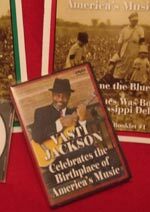 In addition, the music history kits teache other subjects such as Mississippi Studies, civil rights, geography, economics as well as music appreciation. The MS Department of Education competencies are taught and the program was partly funded by the Mississippi Humanities Council. As one evaluator said, "The major strength of this project is that it provided inspiration and a valuable resource for teachers to use in their classrooms." 2013 South American tour highlights. 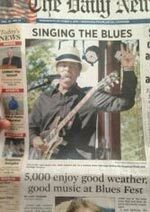 "But the big name of the night was the American guitarist Vasti Jackson, who raised the festival audience to a frenzy with a presentation that included blues, soul, funk, and jazz. 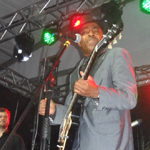 Accompanied by bassist Cesar Lago and by drummer Beto Wether, the guitarist honored Petropolis city with a portugues arrangement, played with the audience, danced and demonstrated that he is also a "showman" on the stage." 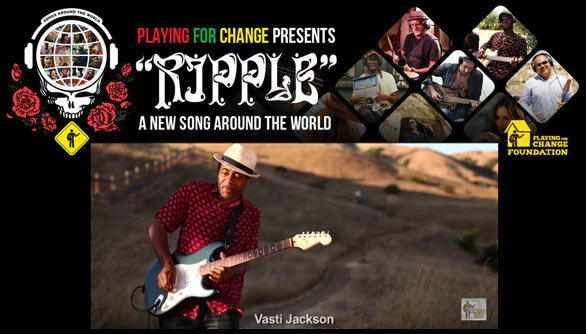 Vasti will be joining Playing For Change, along with Keb Mo and James Densmore (The Doors) at the famed Whiskey A Go Go on the Sunset Strip in Hollywood, Ca on September 21st. Vast also recorded guitar for the PFC "Songs Around The World" CD , and appears in the DVD that includes Keith Richards (Rolling Stones), and Bono (U2) and will be released in Early 2014. 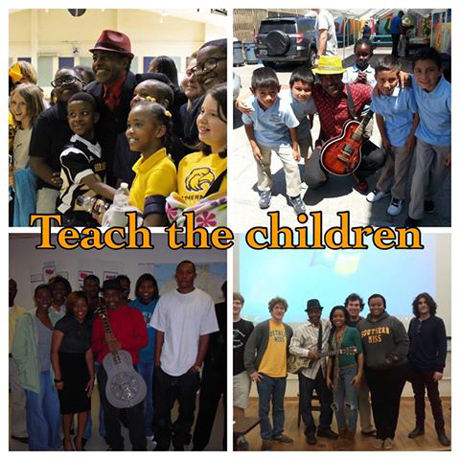 For more information on Playing for Change visit links below. 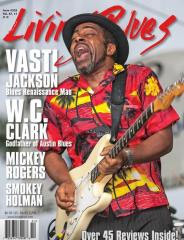 Henry Rollins speaks with bluesman Vasti Jackson about the genre as it evolved from communication between enslaved Africans to 2012 pro-Obama anthems. The Mississippi Blues Project, produced by WXPN in Philadelphia, is a yearlong endeavor that showcases the rich musical heritage of the Magnolia State. From R.L. 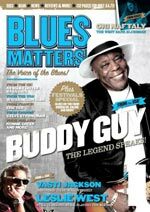 Burnside, Willie Dixon and Cassandra Wilson to Robert Johnson, Muddy Waters and the North Mississippi All Stars, the project features a comprehensive look at the history and future of Mississippi blues, with live concert videos, audio recordings, essays and photos.